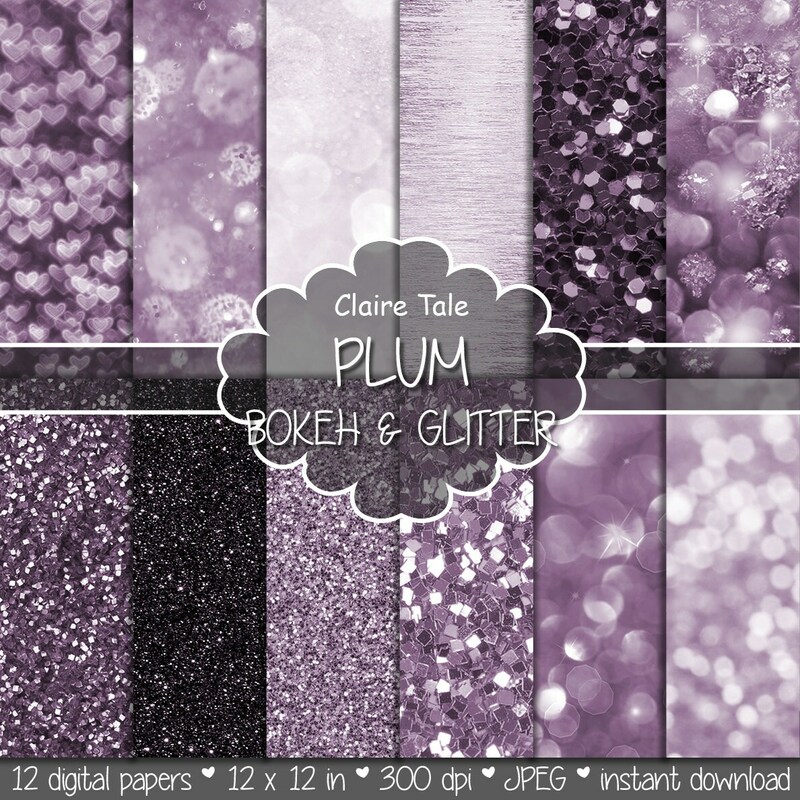 12 plum digital papers: "PLUM BOKEH & GLITTER" with plum glitter background and plum bokeh background for photographers and scrapbooking. Perfect for scrapbooking, invitations, announcements, anniversaries, birthdays, party themes, stationary and paper crafts. Ready for immediate print and digital use. So happy I bought these, they are just so pretty and great quality.